The MSE Equity Price Index opened the week in positive territory as it advanced by 0.6% to a two-year high of 4,761.841 points. The gain was largely driven by the increases in the share prices of BOV and IHI which, coupled with the positive performances of MIA and RS2, outweighed the declines in HSBC, Medserv and Lombard. The total value of equities volumes amounted to just under €0.41 million with almost half of today’s trading activity in Medserv and GO. 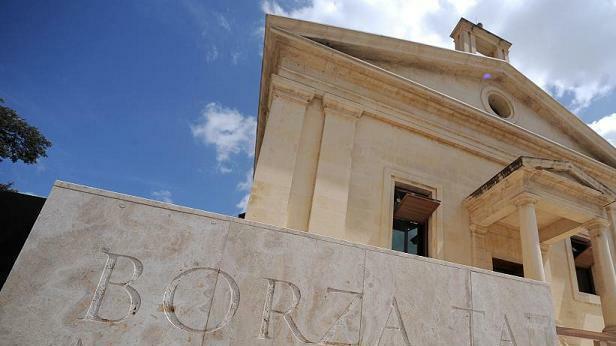 Bank of Valletta plc added 2.8% to regain the €1.45 level across 36,901 shares. Shareholders as at close of trading on 6 June will be entitled to one bonus share for every ten shares held. International Hotel Investments plc advanced by 2.7% to the €0.77 level across 68,576 shares. Also among the large companies, Malta International Airport plc advanced by 0.8% to the €6.60 level on activity totalling 2,520 shares. RS2 Software plc also trended higher with a gain of 0.7% to €1.41 albeit on insignificant volumes. Low trading activity also took place in the equity of Malta Properties Company plc which ended the day unchanged at the €0.58 level. Shareholders as at close of trading on 9 May will be entitled to a net dividend of €0.01 per share. GO plc (18,700 shares) and Mapfre Middlesea plc (4,961 shares) traded flat at the €4.90 and €2.34 levels respectively. Both equities are trading with the entitlement to an ordinary and a special dividend. In the technology segment, BMIT Technologies plc maintained the €0.52 level across 29,156 shares. PG plc closed unchanged at the €1.38 level on activity of 22,576 shares. Meanwhile, Lombard Bank Malta plc slumped 5.6% to the €2.36 level albeit on just 5,500 shares. Medserv plc also trended lower today with a drop of 1.8% back to the €1.10 level on heightened activity totalling 93,650 shares. HSBC Bank Malta plc retracted by 0.6% to the €1.62 level on 10,046 shares. On Monday, FIMBank plc published its preliminary statement of annual results for 2018. The trade finance specialist generated record net interest income reflecting higher volumes of business as well as a reduction in funding costs. Moreover, the bank generated higher non-interest income and also managed to sharply lower its operating costs. On the other hand, the financial performance of FIMBank was dented by a net impairment loss of USD13.3 million compared to a net impairment gain of USD2.3 million in 2017. Overall, FIMBank still posted a growth of 35.6% in net profits to a ten-year high of USD10.2 million. Shareholders as at 3 April will be entitled to a one bonus share for every thirty shares held. The RF MGS Index moved higher for the fourth consecutive day as it added a further 0.08% to a fresh fourteen month high of 1,114.687 points. Bond yields across the globe remained largely under downward pressure following last week’s indication by the US Federal Reserve not to increase interest rates this year. On the economic, fresh data from Germany was encouraging, pointing to a better-than expected rebounded in business confidence.